Following Tan Sri Tony Fernandes’ sale of the Caterham F1 Team to a consortium of Swiss and Middle Eastern investors in July, all has not exactly been smooth sailing, if reports are to be believed. In its first month of new ownership, a group of individuals were reported to have claimed unfair dismissal from the F1 team, and there were also allegations that its staff had not been paid their July salaries, to which Caterham F1 said was “wholly untrue” in a statement. 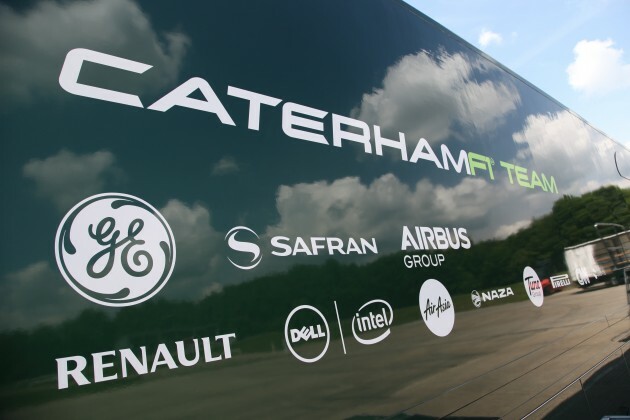 A few months later, Caterham Sports Limited (CSL), the 1Malaysia Racing Team-operated company that builds racing cars for the F1 team, went into administration, placing 200 jobs and its base in Leafield, Oxfordshire in uncertainty. Bailiffs had reportedly seized various items from the Leafield site. More recently, Caterham F1 released a statement, effectively accusing former owner Fernandes of not transferring shares to the new owners. It said CSL’s administrators were appointed on behalf of Export-Import Bank of Malaysia (Exim Bank), a creditor of Fernandes and the Caterham Group, and that the administrators’ appointment had negatively affected the F1 team’s activities. The statement claimed that Caterham Group’s lawyers have asked Engavest several times to comply with the conditions, but to no avail. “Not only have they failed to pay the creditors (and have even left our shareholders to pay some of the creditors on their behalf), but they have failed to pay us anything for use of our factory and site, or anything for the use our brand name,” stated Macdonald. And the war of words continues. Engavest SA was quick to hit back in another statement, refuting the allegations and saying it has met every single one of its conditions in the Sale & Purchase agreement, as well as paid all salaries. 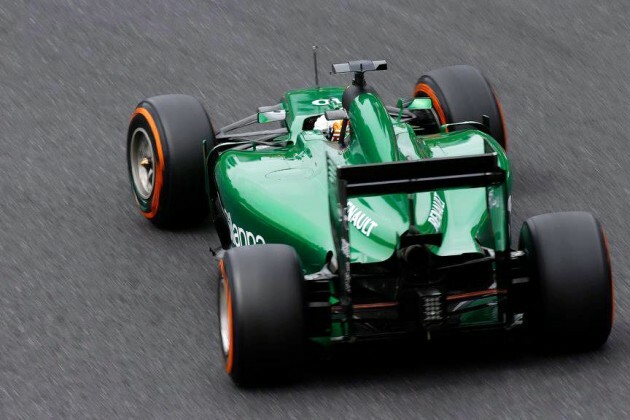 Reuters reports that Caterham F1 staff were locked out of the factory yesterday. The cars in the factory will not make it in time to be transported to Texas for the upcoming US Grand Prix unless a deal is made fast. Tony Fernandes, Caterham Group co-Chairman: “In June 2014, I decided, together with my co-shareholders, to sell my stake in the Caterham F1 team. We agreed in good faith to sell the shares to a Swiss company named ‘Engavest’ on the basis that Engavest undertook to pay all of the existing and future creditors, including the staff. The continued payment of staff and creditors was so important to me that I ensured that the shares would not be transferred to the new buyers unless they complied with this condition. Graham Macdonald, Caterham Group CEO: “We genuinely believed, at the time, that the sale of the team was the best route for the staff and creditors of the Company, as we felt it secured its long term future. The whole agreement with Engavest was based around a low consideration for the business, with easy payment terms so that creditors and staff could be paid. The buyers were made fully aware at the time of all outstanding liabilities. However, it appears to me that they never had any intention of paying these liabilities. I go on to question how anyone who was interested in the long term future of the business would appoint one of their cleaners – Constantin Cojocar – as the sole director and shareholder of the UK operating Company? Only the seller, which includes Mr Fernandes, failed to meet his obligations. All salaries have been paid. The claims of Mr Fernandes and Mr Macdonald contradict their own press statement dated 03 October 2014: “Caterham Group wishes to clarify that, following the sale of the F1 business in July, it has no affiliation with Caterham F1 Team”. Incidents such as a Caterham Group representative forcibly breaking into a filing cabinet containing our private and confidential documents and the continued refusal to deal with the outstanding loan of Exim Bank and complete the agreement has culminated in Engavest’s total contempt of Mr Fernandes and his Group executives with whom we entered a deal in good faith. i don’t know but i think if i were to have any deal with mr fernandes, i would have to be more careful. don’t think he’s that “innocent” at all. it can’t be that everyone is against him from proton/lotus, renault and now the buyer of caterham f1, if he was really that “innocent”. sorry. I share the same opinion as you. Too bad for F1 as a spectacle. Looks like there will be one team less in the US. Hope Bernie can step in & assist. Even though Caterham is only backmarker, F1 still needs them. Its more fun to watch with more cars on the grid. Why spectacle? Care to explain? Bernie did mentioned earlier that he prefect to see 3 cars per teams in F1 than see more teams to joint in… that mean if Caterham F1 are gone for good.. he don’t care..
Bernie Ecclestone says he would prefer to see Caterham collapse, which would leave F1 with just ten teams. That’s what Bernie mentioned on yesterday. I believe the Middle man (mediator) of this deal is the culprit. How could things turn so messy if buyer & seller involve directly? The outcome ‘d be better if Tony sell Caterham using eBay or GroupOn! Anybody still think this guy is not a crony?